Japanese Government funded new Intensive Care Unit (ICU)was opened at the Kilinochchi Hospital Tuesday, sources from Vanni said. 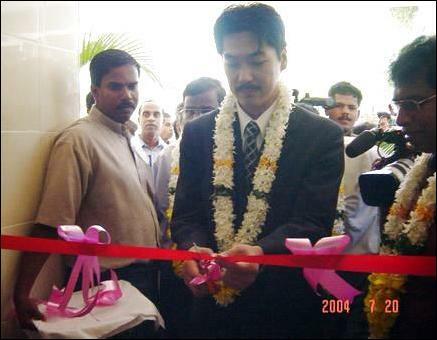 Dr. Yugi Miahara from the Economic Division of the Japanese Embassy unveiled the name plate and opened the new building during the opening ceremony. 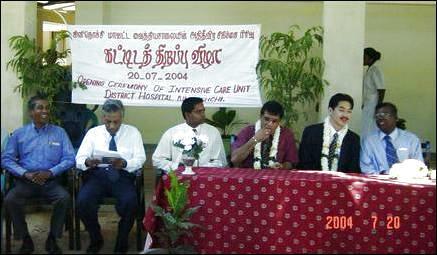 Deputy Director of Kilinochchi District Health Services, T.Sathiyamoorthy, presided the opening ceremony. Dr.Thevarajah lit the common flame and Head of Health Services, Arun, hoisted the Tamil Eelam national flag.